What are Drivers and why do I need them? Software Drivers are essentially small pieces of code which enable communication between your computer and a device (such as an audio device, USB, printer etc.). If everything is working well, you won’t even notice your software Drivers and they will just do the job they are supposed to do. However, when there is a problem with the Drivers, this can cause issues ranging from erratic behaviour in the device in question to a complete failure of the device to work as expected. If your computer is no longer seeing your printer, your speaker stops working or a USB device is not recognised, the problem may well be a Drivers one. To fix this problem you need to update the software Drivers in question. If you are having problems locating Drivers then your best option is usually to use a Driver Update Tool such as DriverDownloader to locate, download and update the Drivers for you. 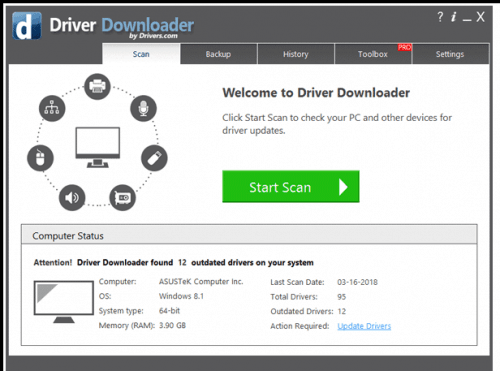 DriverDownloader has a Drivers scan option so you can run an initial scan of your PC. This will let you confirm that the issues is indeed with your Drivers before committing to registering the product. 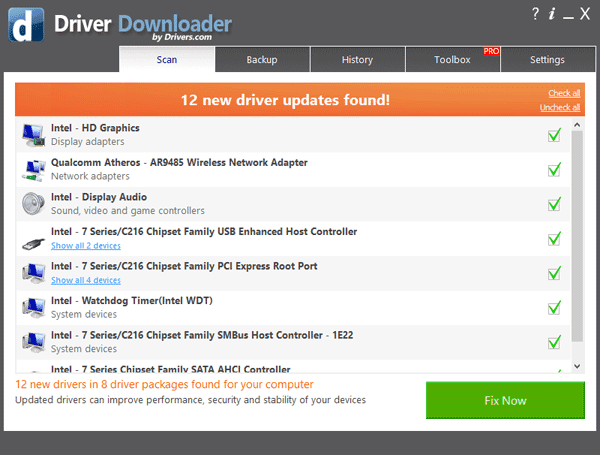 There are also many options for manually updating your Drivers. There are different ways to do this, the most common is to use the manufacturers website and search for Driver updates there. Many manufacturers’ websites will then talk you through downloading and installing the new Driver file. If you have a specific Driver issues, you can use our search tool below or browse our drivers posts and search for information and help on your particular problem. When you update to a new Operating System (such as Windows 10), many of your devices such as printers and audio devices may not work properly. This is because the Drivers are not always compatible with the new Operating System. When you have numerous devices, finding and updating Drivers can be a very tedious task. This is where we come in! With a full 30-day money back-guarantee and software monitored and certified by AppEsteem, DriverDownloader is a widely trusted and relied-upon Driver Update solution.